Provide your patients with the fastest way to a perfect smile. Utilize the sample 3D printed prototype and final denture to showcase to your patients our unique process utilizing advanced CAD/CAM technology for an extremely accurate and comfortable fit. Sample kit comes with one 3D printed prototype and one final denture, acrylic shade guide and tooth shade guide. 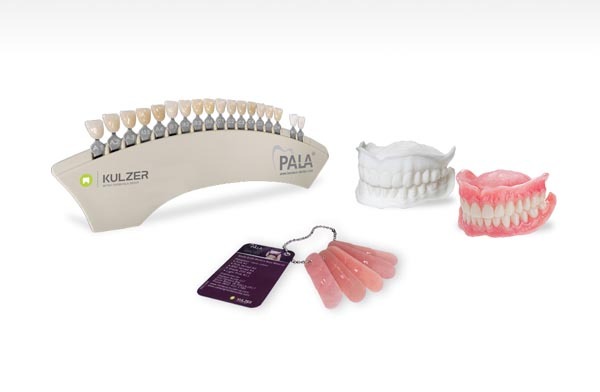 We have a number of resources and instructions on how to take a Pala Digital Denture Impression as well as information on how to submit a case to your Pala Digital Denture Laboratory. Please download our impression taking manual here. Please see our instructional videos here. What do I need to in order to start my first case? 1. Create an account and select a Pala Digital Denture Laboratory. For more detailed information, please visit how to submit a case here. Please check out our Videos and additional Resources here.